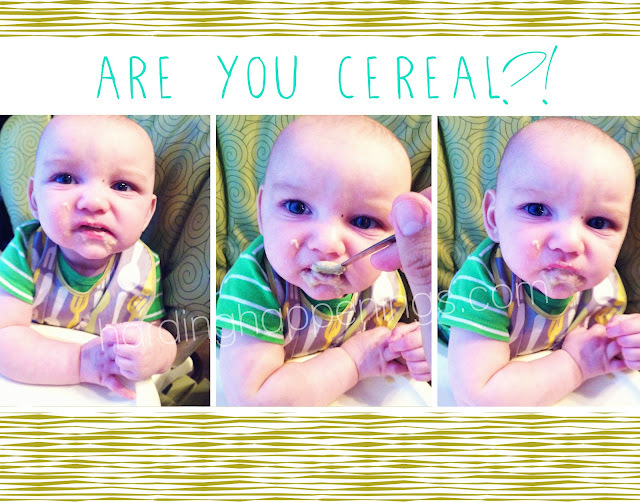 Well my lil' man with a BIG APPETITE got his first taste of rice cereal. I definitely thought he would go after the stuff but surprisingly he isn't a huge fan. 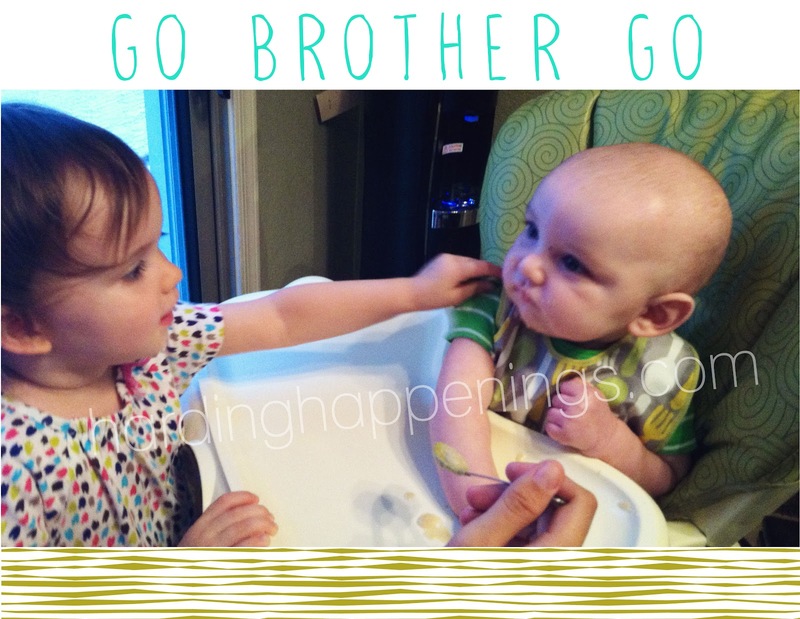 How cute is her lil' pat on the back for her brother?! Like keep up the good work brother and totally rooting him on...really I have no idea what she was doing here but it's cute. Haha! 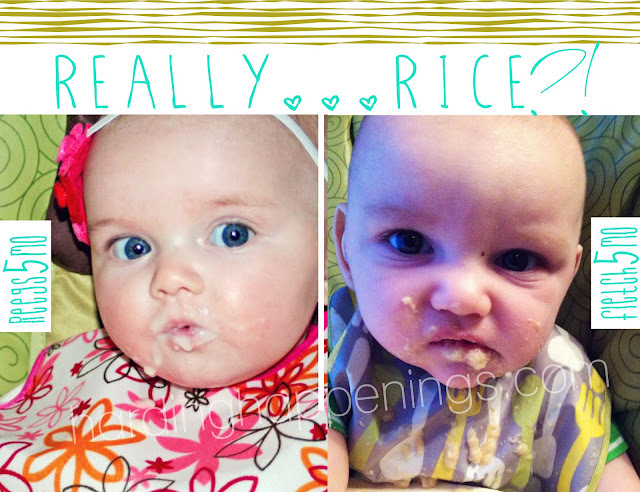 How did your lil one take rice cereal? Also for those MAJOR detail oriented people that MIGHT have noticed that they both are wearing JJ Cole bibs...please note that these are a MUST HAVE! Benefits are a snap closure + a wipeable surface + food catching pocket that stands up to those messy meals and the patterns are to die for. Thank you Auntie Heather for the mass amounts of our favorite bib! this is such a cute post! When we first started the cereal sydney wasn't crazy about it! eventually we flavored it with baby food and she ate it up!